Moving to Bermuda - Compare International Movers & Save up to 70% ! Bermuda is a British overseas territory near the USA and Canada. It has a subtropical climate and its capital city is Hamilton. The cost of living in Hamilton in Bermuda is high compared to other places. Finance and tourism are Bermuda’s two largest sectors. The island is prone to severe weather and can have powerful hurricanes. Jobs are available in tourism, ICT and finance. They range from chefs, system engineers/administrators, restaurant managers, executives, and more. Bermuda international schools are Bermuda High School (UK) and Mount Saint Agnes Academy (US/American. Preparing your Moving to Bermuda is necessary. Intlmovers is an easy way to compare international moving companies that can help you with your international move to or from Bermuda. You can save time and money, because you can compare quotes quickly and easily from up to six international moving companies at once to move you to Bermuda. International jobs available, mainly in tourism, ICT and finance. You can save a lot of money by comparing quotes for your move to Bermuda. By comparing the quotes that you receive, you can quickly see the different services. Make sure that you get the best value for your international moving budget. 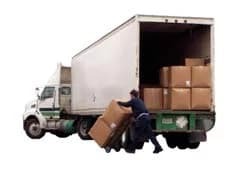 The international moving companies have years of experience with moves to Bermuda. After submitting your request using the easy to use drop down menu below, you will be contacted back directly by the companies to move you to Bermuda They will arrange a customised moving quote for your international move to Bermuda. It doesn’t have to be a hassle chasing around for quotes, because Intlmovers does the work in the background for you. It won’t take you a long time to submit your moving request for your move to Bermuda, and in that one easy request you can get six obligation free responses!